If we had to guess, you'd probably be willing to go to some pretty great lengths if it guaranteed you'd get access to free booze for life. But would you be down to schlep all the way to the North Pole if that was one of the conditions? 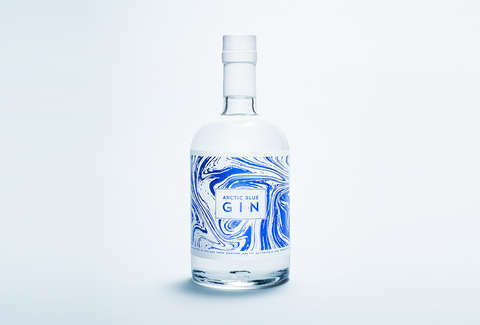 If the answer is yes, please direct your attention to this outrageous new offer from Arctic Blue Gin. In a fairly shameless marketing stunt, the folks at Finland-based Arctic Blue Gin are setting up a one-day-only pop-up bar at the North Pole, and anyone who manages to make it there to join them is promised free gin for life. So it's actually pretty easy, as long as you have access to an Arctic guide, some skis, a snowmobile, and maybe a helicopter. But, hey, free gin! Unfortunately, you don't have a ton of time to prep for your voyage since the pop-up bar will only be open on April 17. In fact, if you're reading this, you should probably be en route, like, now. It's a bit unclear what exactly the pop-up will consist of, but the company claims that Arctic Blue Gin's co-founder and brand director will be there, along with three other folks, including both an an experienced polar expert and a photographer, according to Food & Wine. It's a tempting offer, sure, but so are $1 margs, and Applebee's is a lot easier to get to.